Start off your visit on the 6th (Wed): stroll through Parque De La Paloma and then take in the waterfront activity at Benalmadena Puerto Marina. Here are some ideas for day two: take in the spiritual surroundings of Malaga Cathedral and then take a stroll through Marbella Old Quarter. For reviews, more things to do, traveler tips, and more tourist information, you can read our Malaga tour app . Santa Cruz de Tenerife to Malaga is an approximately 4.5-hour combination of bus and flight. You can also do a combination of bus and flight; or do a combination of ferry and car. The time zone difference moving from Western European Time to Central European Time is 1 hour. When traveling from Santa Cruz de Tenerife in June, plan for a bit warmer days and about the same nights in Malaga: temperatures range from 34°C by day to 21°C at night. Wrap up your sightseeing by early afternoon on the 7th (Thu) to allow enough time to drive to Nerja. Nerja is a municipality on the Costa del Sol in the province of Málaga in the autonomous community of Andalusia in southern Spain. To see where to stay, other places to visit, ratings, and tourist information, you can read our Nerja road trip planning website . Traveling by car from Malaga to Nerja takes an hour. Alternatively, you can take a bus. Plan for slightly colder nights when traveling from Malaga in June since evenings lows in Nerja dip to 17°C. Wrap up your sightseeing on the 7th (Thu) to allow time to drive to Granada. Start off your visit on the 8th (Fri): wander the streets of Albayzin, then admire the natural beauty at Generalife, and then step into the grandiose world of Alhambra. Get ready for a full day of sightseeing on the 9th (Sat): contemplate the long history of Mirador de San Nicolas, make a trip to Plaza de San Nicolas, then don't miss a visit to Carrera del Darro, and finally get the lay of the land with Walking tours. 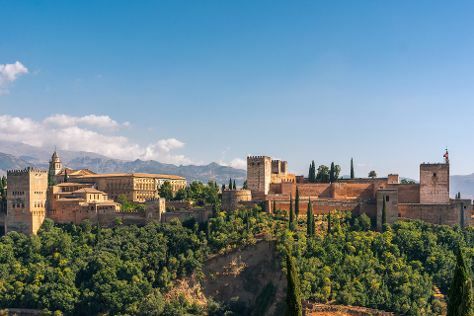 Plan trip to Granada with our itinerary maker to find out where to go and what to do. Traveling by car from Nerja to Granada takes an hour. Alternatively, you can take a bus. In June, daytime highs in Granada are 35°C, while nighttime lows are 19°C. Wrap up your sightseeing on the 9th (Sat) to allow time to drive to Jaen. Jaén is a city in south-central Spain. For other places to visit, where to stay, more things to do, and tourist information, you can read our Jaen route planner. Drive from Granada to Jaen in an hour. Alternatively, you can take a bus. In June in Jaen, expect temperatures between 37°C during the day and 17°C at night. You will leave for Cordoba on the 10th (Sun). 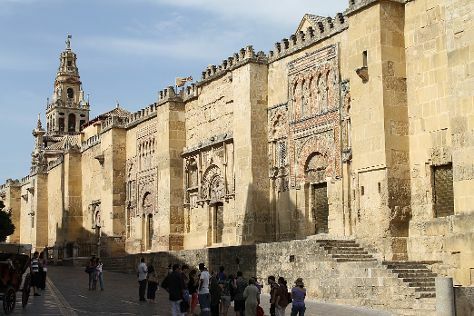 Kick off your visit on the 10th (Sun): don't miss a visit to Historic Centre of Cordoba, steep yourself in history at Alcazar de los Reyes Cristianos, then don't miss a visit to Patios de Cordoba, then take a stroll through Jewish Quarter (Juderia), and finally admire the striking features of Mezquita Cathedral de Cordoba. To find maps, traveler tips, other places to visit, and other tourist information, read our Cordoba journey tool . Traveling by car from Jaen to Cordoba takes 1.5 hours. Alternatively, you can take a train; or take a bus. June in Cordoba sees daily highs of 40°C and lows of 19°C at night. Finish your sightseeing early on the 11th (Mon) to allow enough time to travel to Puente Genil. Puente Genil is a town in the Spanish province of Córdoba, situated about 45 miles (70 km) from the city of Córdoba. On the 11th (Mon), step into the grandiose world of Castillo Anzur and then take an in-depth tour of Chocomundo Museo del Chocolate. To find more things to do, maps, reviews, and more tourist information, read our Puente Genil attractions planner . Getting from Cordoba to Puente Genil by car takes about an hour. Expect a daytime high around 39°C in June, and nighttime lows around 19°C. 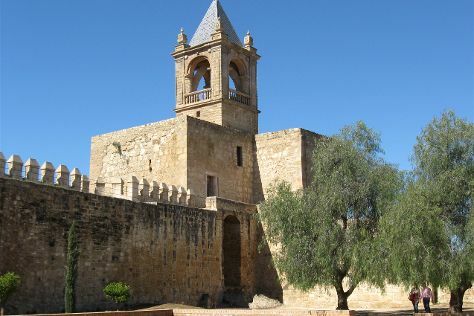 Wrap up your sightseeing by early afternoon on the 11th (Mon) to allow enough time to travel to Antequera. To see ratings, maps, other places to visit, and other tourist information, go to the Antequera trip itinerary builder app . You can drive from Puente Genil to Antequera in an hour. Traveling from Puente Genil in June, expect nights in Antequera to be about the same, around 21°C, while days are slightly colder, around 33°C. Wrap up your sightseeing on the 11th (Mon) early enough to drive to Malaga. For ratings, other places to visit, photos, and tourist information, read our Malaga road trip tool . You can drive from Antequera to Malaga in an hour. Alternatively, you can take a bus. On the 11th (Mon), you're off tohome.